We have been in the weaning phase now for a good few weeks and Alice has taken to it wonderfully. Like all of my children, she loves her food and knows exactly when it should be coming and is not shy about letting us know. I have found this step quite natural, fun for us all and it was no where near as scary as I had anticipated. 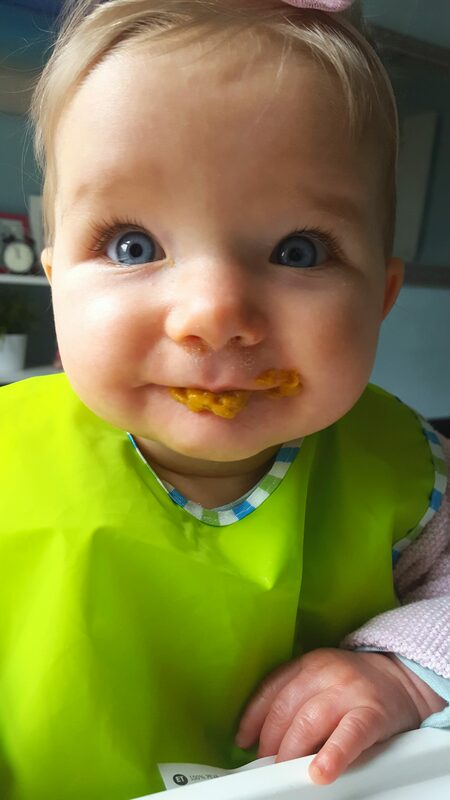 I have been exclusively breastfeeding her since birth, and took the plunge to officially wean onto food a week or so before she was 6 months. I had taken her to the baby clinic for a weigh in and as she had started to slip ever so slightly and so we were advised by the health visitor to maybe introduce a little baby rice before bed to start filling her up. A quick trip to Morrisons and a pack of Ella’s kitchen banana breakfast rice later, we were ready to roll. She loved it. The kids loved it and there the journey of eating food had most certainly begun! We since have progressed onto expanding flavours and 3 meals a day, with breast milk in between and before bed. Breakfast is still hit and miss, Lunch is a chilled affair as its just us, (she has that about 11.15am) and I then usually try to give her dinner about 4.45pm so that then we can sit down as a family just after 5 and all eat together whilst she smiles at us. 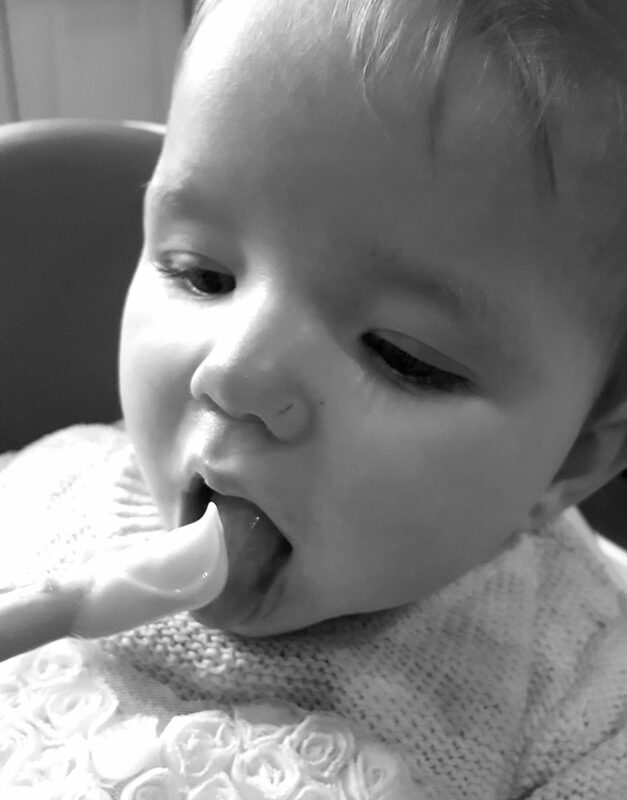 Sometimes on the menu it’s pureed (when I have time to sit and feed her), and sometimes we opt for the baby led approach (when we are on the go or I am busy)…neither I find is better or enjoyed anymore, to me it is more a matter of convenience. I am a busy mum of 3 and the main thing is that she is being fed, with varied foods and loves it (except eggs). The routine is working well, and when I remember (and if its appropriate), I portion off our dinner for the next few days for her. Leading up to this moment, where we introduced those first few spoonfuls of baby rice, we had sneaked her the odd cucumber stick during dinner and weaning had very much being at the front of my mind. Because I lost Poppy in 2014, it meant that it had been a whole 4 years since I weaned one of my babies and I just felt a little clueless this time round. I felt somewhat daunted by the prospect, and just for the life in me couldn’t remember where to start, what to start with and how to go about it. During all of this worry, around when Alice was about 4.5 months old I went along to Asda in Hull with some other bloggers where we had the pleasure of meeting a couple of the lovely ladies from new baby food brand “Piccolo“. I was greatly impressed with their brand and outlook, and gained so much from it…mainly being confidence with weaning and the wide range/flexibility I could start her with. Here weaning became less of a hurdle, and more of an eagerly anticipated milestone. 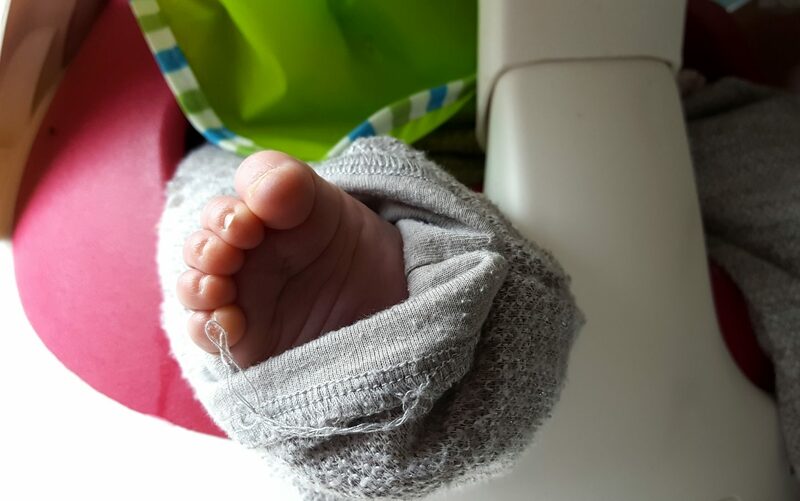 I had little expectations of it, as I knew initially it would be a slow process, but I was excited to introduce my baby to the wonderful flavours and textures of food. 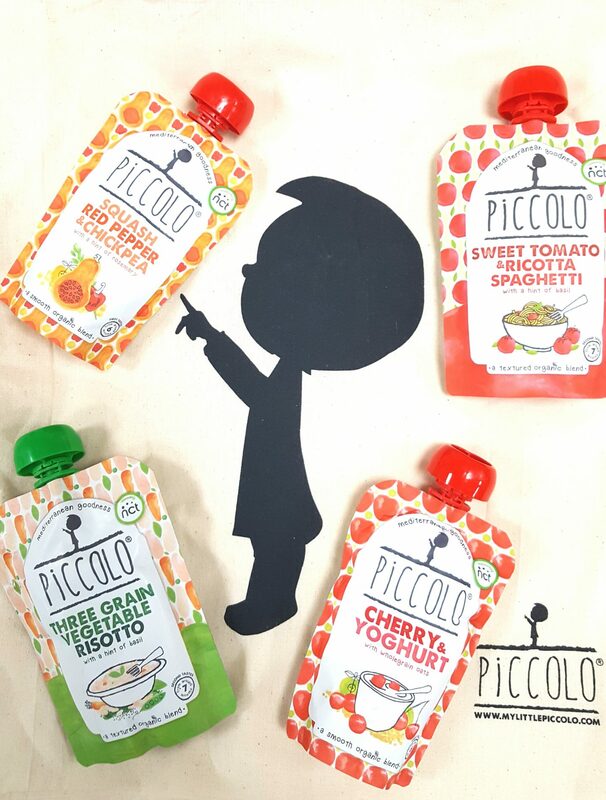 What I love most about Piccolo foods are that their ingredients are heavily influenced by the Mediterranean, and I just loved that theses flavours and ingredients coincide with what we eat a lot of in our family meals. She eats pouches, finger foods and homemade concoctions, but has really seemed to love the Piccolo range too. 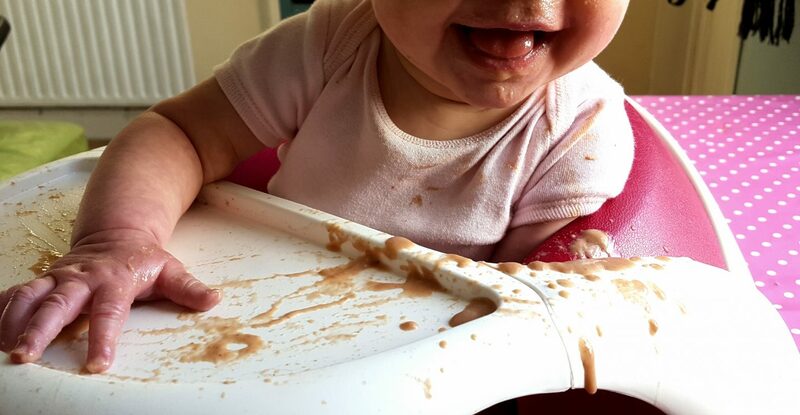 Weaning is messy, requires organisation, and can seem daunting – even if you have done it once or twice before. But I am really enjoying this stage; the opportunity to share our favourite foods with her and see her wonder and smiles as the flavours explode on her tongue. I love to see another baby face looking at me all messy with dinner, and her little foot hanging out of her seat whilst she taps her other foot in anticipation. I love how she takes so much interest in what we are eating and her eyes tell you she wouldn’t mind a sneaky try. But mostly I just love I have another baby to do all of this with again, and that I feel no pressure to feed her any other way than what works for us. *This is not a sponsored post, I just wanted to share my journey & how Piccolo had helped on that…along with how great I think their brand is for babies. Weaning time means the children are really growing up. However, the sensations of breast-feeding are unforgettable!! 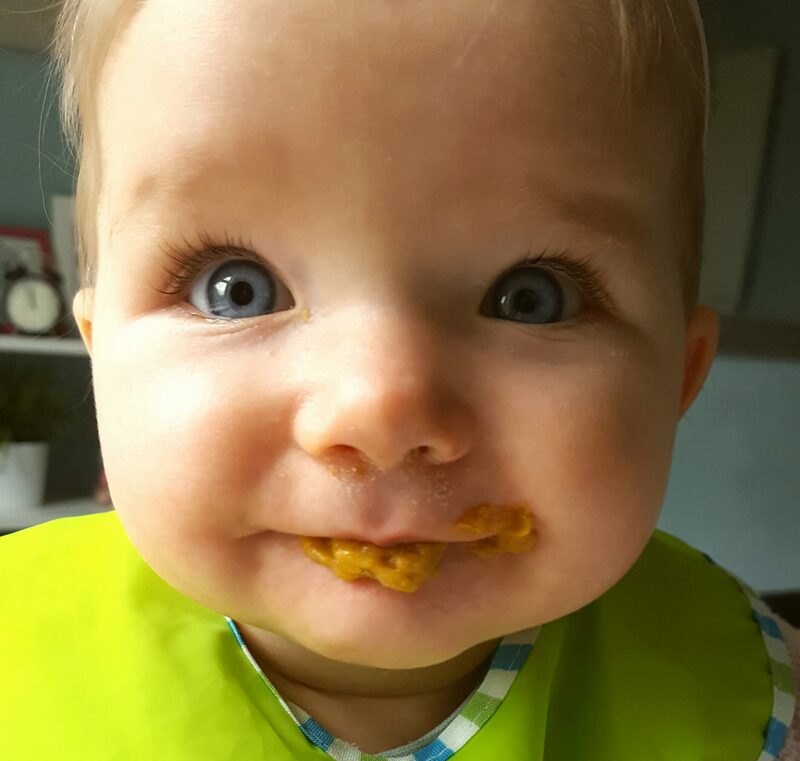 Btw, the photos of your little one eating are lovely as hell 😉 Good luck to you and your little one with the weaning journey ahead.